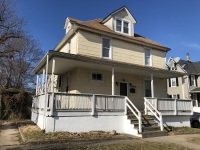 Huge updated row home featuring 4 bedrooms, 2.5 bathrooms, private back yard, and finished basement that could be used as additional living space or bedroom. Available early March 2019 for $1,250/mo plus utilities. 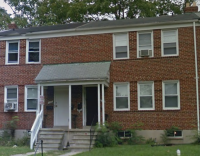 This 2 bed 1 bath apartment on a nice, quiet block in Glen Oaks neighborhood is conveniently located just minutes from Towson University, Town Center, and more! Available now for $850/mo plus utilities. 2 bed, 1 bath downstairs apartment with unfinished basement in Park Heights neighborhood, available starting 4/1 for just $750/mo plus utilities. Huge nicely updated 2/3 bed, 1.5 bath rowhome in prime Fed Hill location. Featuring open floorplan, commercial kitchen appliances, decorative fireplace with built-in wall shelving, washer/dryer, and much more! Available 6/1 for $1,900/mo plus utilities. 3 bed, 1 bath rowhome on nice block in Edmondson Village neighborhood, featuring hardwood floors, fenced in back yard, and partially finished basement. Available early/mid May for $1000/mo plus utilities. This 4 bed 1 bath rowhome in Rosemont neighborhood of West Baltimore features updated interior, decorative fireplace, private back yard with covered front & back porches! Available now for $1200/mo plus utilities. Renovated 3 bedroom, 1 bathroom apartment on the 2nd & 3rd floor of large house in great neighborhood! Available now for just $1,100/mo plus utilities!